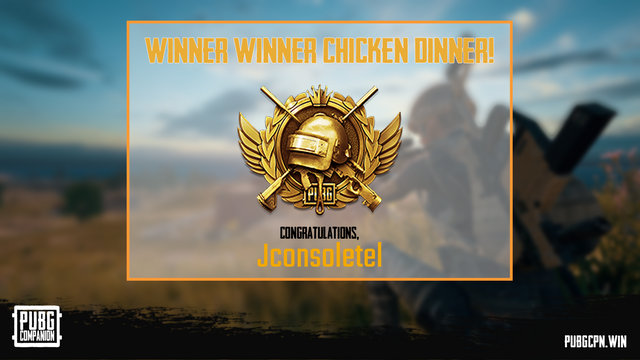 Fun commands such as strat roulette, drop and winner for pubg fans! 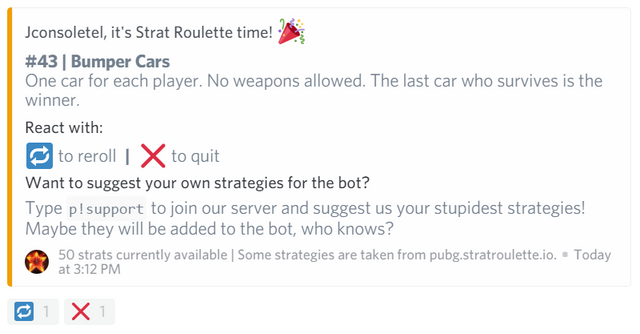 PUBG Companion is the first PlayerUnknown's Battlegrounds Discord Stats Bot using data from PUBG Official API. 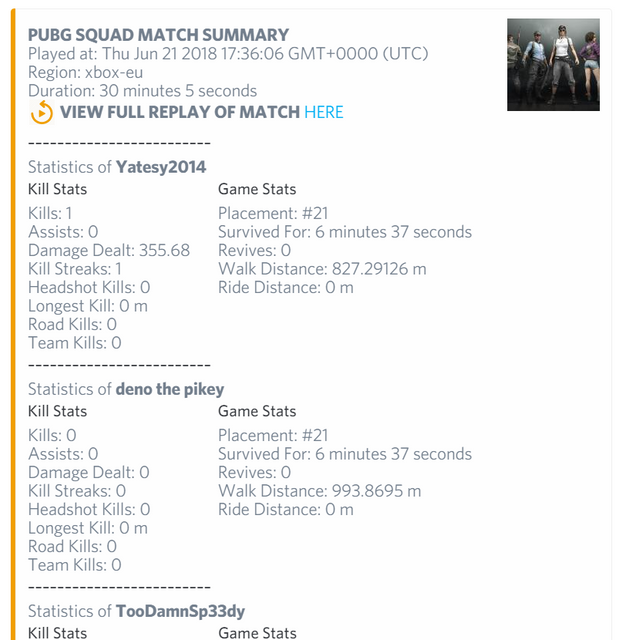 It currently supports Steam, Kakao, Xbox and PS4 stats. 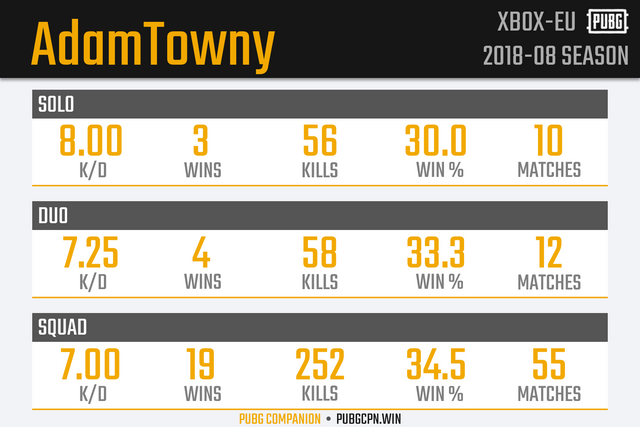 • Beautiful stunning PNG summary stats for all tpp or fpp gamemodes, see K/D ratio, win%, kills and matches played!